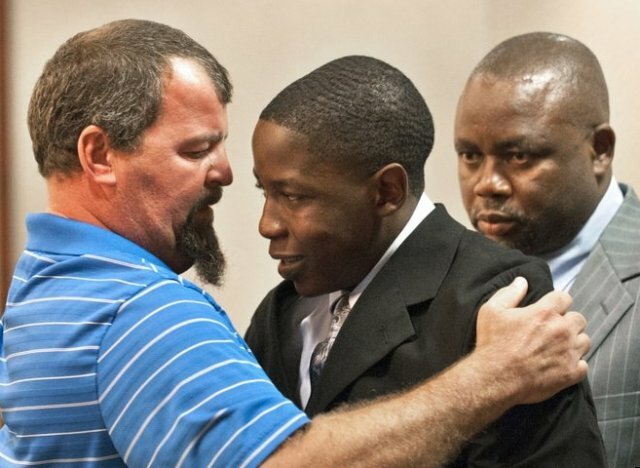 The father of a car accident victim hugging Takunda Mavima, a drunk-driving teen who caused a crash. His son, Tim See, was friends with Takunda and chose to ride in the car with him. In a moving address to the court, both the sister and the father of victim Tim See spoke on behalf of Mavima, urging the judge to give him a light sentence. “I am begging you to let Takunda make something of himself in the real world — don’t send him to prison and get hard and bitter, that boy has learned his lesson a thousand times over and he’ll never make the same mistake again,” Lauren See said in court. I would love to hear as to whether their comments made a difference as to the sentence the young man received. May the judge have been moved by their comments, and may Takunda have learned a lesson that no amount of prison time could equally accomplish. Such grace shown by them. SELF LIVES BY GETTING ANG AND FORGETTING. This is beautiful!! 🙂 Is it your quote?